A New Mexico native hits the road in search of the state’s spicy treasure. As soon as I moved to northern New Mexico in 1996, I bought just the vehicle to facilitate the kind of adventurous life I sought in the Land of Enchantment—a beloved Ford Explorer Sport, which took me fishing on the Pecos River, exploring ruins in Chaco Canyon and more. 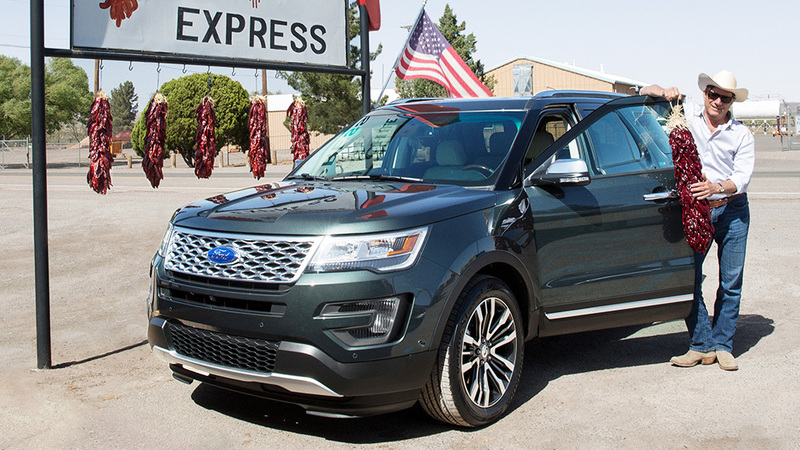 Twenty years later I am about to embark on yet another adventure, this time in the new Ford Explorer 2016: the quest to find the perfect chile pepper, New Mexico’s best-known produce. New Mexico is the only state with an official question: red or green? That is, do you prefer red chile or green chile? While I’ve always enjoyed the fiery flavor of chiles (not to be confused with Texan chili, a conglomeration of ground meat, beans and chili powder), this journey promises to take me beyond the restaurants of Santa Fe and Albuquerque to find out what makes New Mexico the ideal climate for this unique fruit. I head the Explorer north on Interstate 25 toward the small farming community of Hatch. Hatch calls itself the Chile Capital of the World, and every Labor Day more than 30,000 people descend on the village of 1,600 for the annual chile festival. The Explorer bounds along the small highways and county roads that parallel the Rio Grande, with the available 365 hp 3.5L EcoBoost® V6 engine providing plenty of power along the way. Jimmy also explains that the Big Jim is bred for different heat levels. The mild is generally roasted to make chile rellenos, while the hot can have almost as much kick as a jalapeño. 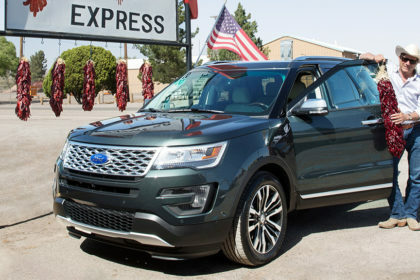 Using its convenient hands-free liftgate, I load the Explorer Platinum with a couple of ristras­ of dried red chiles, two shopping bags filled with different chile powders and some frozen packets of fresh 6-4s, and then head north to Santa Fe to see what an expert might do with this kind of haul. It’s in Santa Fe that now-retired chef Mark Miller turned the world on to New Mexico chiles and Southwestern cuisine at the famous Coyote Café in the ’80s. I’ve had many memorable meals at Coyote over the years, every one with just the right lashings of local chiles.